How to De-Wiper the Rear. 1. Remove the bolt under the cover of the wiper with a 8mm socket and wiggle the wiper untill it comes off, If its stuck WD40 should help. 2. Open boot and remove the screw that holds the boot lid inner cover on and pop off all the way round, remove cover. 3. Drill out the 3 rivets that hold the motor in place with a 6mm drill bit and unclip the electrical connector, then remove the motor. For safe keeping remove the gromet from the window and put back on the motor spindle then put bolt back on. 4. Secure away the electrical clip tighty to avoid rattles. 5. Clean the window area and fit the gromit, 23mm is best fit but 24mm are more readly available so you can just modify these a fraction if you wish. Halfords sell gromits 19mm, 22mm, 24mm, & 25mm for £1.59. You can put washing up liquid round the gromit to aid fitting. Hope this helps anyone wanting to do this mod, Very easy. when i did mine , the wiper would not come off , tried everyhitng i could lol , resorted to a hamme , still no luck. So had to go out and buy a 'Puller'? 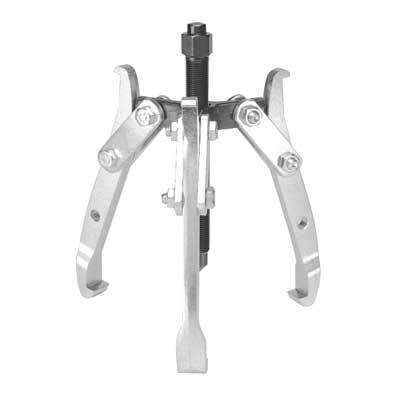 lol , its basically a tool with two arms on the outside with a screw in the middle that pulls things off splines. Came straight off with that. Good guide just done mine, Wiper didnt come off so I angle grinded the git. jobs a good en! I.C.E 2 x Genesis Series III 4 Channels, 1 x Ground Zero GZNA1.2500DXII, Hybrid Audio L4 Mids, Hybrid Audio L1 Pro Tweeters, CDT ES06 Mid Bass, Digital Designs 512bb 12" Sub, Alpine CDA-9883R Headunit, Kenwood KEC-600 Crossover, More batteries and 0 AWG wiring than you can shake a stick at ///Car Grande Punto 1.2 8v, 17" Kei Racing Force 10's in white, Punto Side Stripes.... More to come! I've been at this an hour now and so far I've got the bolt off. I've twisted. Yanked. Everything. The wiper will absolutely not budge. Any suggestions? i tried to de wiper the other day but the wiper arm is stuck on i used wd40 and left it to soak it and then tried but still no luck. i dont really want to cut it off cos i want to put it back on when i come to sell the car. anyone got any ideas as to what i could do or use to get it off? Try wriggling it as best as you can. Sometimes just giving a good "tug" will do it. Stated doing this today got to the stage of drilling through the rivets and they wouldn't come out when I drilled them so left it cause I was scared I would damage my car, any ideas why the rivets wouldn't come out and how far do you push the drill through?